If you are looking for a new desktop replacement portable computer, you might want to check out the DreamBook Power W17R laptop, manufactured by the Australian PC builder Pioneer Computer. Reportedly, this high-performance device is now available to customers “Down Under” and has a recommended retail price of AUD $1,199 (about USD $1,245). Built around a 3rd generation Intel HM77 Express Chipset, the W17R supposedly packs a 2012 Ivy Bridge Quad-Core Intel Core i7 central processing unit with an integrated Intel HD 4000 graphics controller. Moreover, the notebook sports a Full HD (1920-by-1080 pixels) crystal bright widescreen display that measures 17.3-inch in diagonal. According to the maker, the new DreamBook Power portable PC further offers up to 8GB of dual-channel DDR3 RAM, two changeable HDDs, a Blu-Ray Burner and an NVIDIA GeForce GTX 650M GPU (28nm Kepler architecture) with 1GB of dedicated DDR3 VRAM. Users can stay in touch with friends and family by utilizing the built-in Base-TX Ethernet LAN, Intel Centrino Wireless LAN and 2.0MP front-facing web camera. Other features reportedly include one USB 2.0 and four USB 3.0 ports (1x eSATA/USB combo), an HDMI interface with HDCP for connecting the laptop to an external HDTV, an S/PDIF output and a 9-in-1 Push-Push card reader slot (MMC/RSMMC, SD/Mini-SD/SDHC/SDXC and MS/MS Pro/MS Duo). 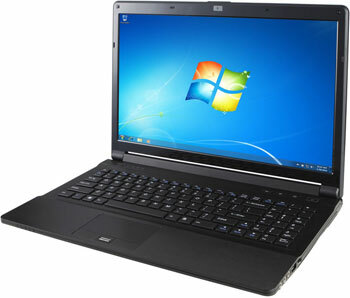 The W17R model also comes with a 6-cell 48.84WH Lithium-Ion battery that apparently has an autonomy period of about 4 hours, a 64-bit Windows 7 operating system, NVIDIA’s Optimus technology for switching between the iGPU and dGPU, Kensington Lock and an optional fingerprint reader for greater security.